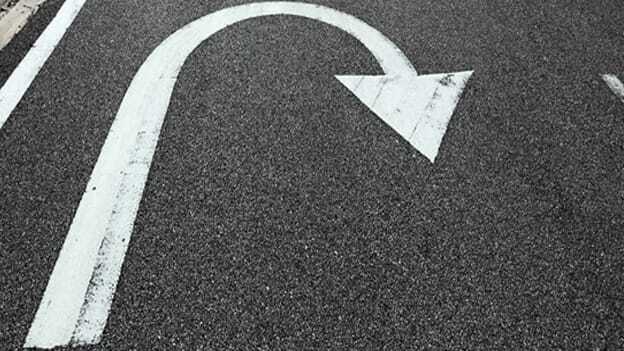 2019 could be the year of action and strategic change for HR but HR will have to stop thinking of itself as an ‘enabling function’ and pick up the responsibility to act. The year 2019 unlike 2018, is expected to be a year full of anticipation and change. From political uncertainties to the unpredictability of how the political environment will impact the businesses, organizations are taking conscious decisions on investments that will enable growth in the coming year. In 2013, PWC identified the global megatrends that were predicted to change our world. However, the pace at which the megatrends have impacted the world has been far quicker and larger than what had been predicted. And now, it is apparent that the long-term phenomena of the megatrends are already upon us. Governments, organizations, and societies — all are all struggling with the near-term manifestations of these trends and looking for answers. 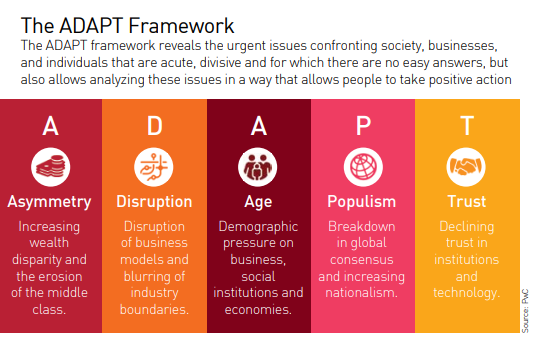 At PwC, we are helping our clients to focus on these challenges using a framework called ADAPT – Asymmetry, disruption, age, populism, and trust – that outlines the five urgent global issues facing the world today and their implications. The ADAPT framework allows for a way of analyzing and thinking about the complex and difficult to understand issues in a way that enables people to take positive action. If businesses were to take a view of their future in light of these macro changes and define the role of corporations and their people, it is apparent that the degree of unpredictability will only scale to disproportionate levels. Coupled with that, there will be the need to advance decisions with a higher number of variables and diversity whilst balancing a lower degree of trust and support mechanisms. People experience dividend is at risk: Although organizations know how important it is to create the right everyday experience at work, they also say they’re failing to deliver. Untapped potential in data and analytics: Companies are struggling to use data and advanced analytics to make better decisions about the workforce. Time to get HR and business leaders on the same page: HR leaders are more comfortable with their efforts to prepare the workforce of the future compared to non-HR leaders. 'Tech-savvy' HR needs to step forward: HR’s ability to navigate the technology landscape is a top ‘at risk’ capability for organizations. Missing out on good ideas and flexible talent: 58 percent of respondents say they have no capability to use open innovation and crowdsourced ideas from outside the business, and less than 10 percent agree strongly that they can do this. Doing right by their people: There’s good news! The capabilities that respondents rate as the most important (building trust, human skills and well-being) are the ones where they are taking action. But there's more to do including creating a clear narrative about the future of the workforce and automation. The study also highlights the lack of alignment between business and HR in terms of action orientation on what’s known vs. what’s getting done for what’s known. This definitely is the burning platform for HR and could be the possible ‘Call to Action’ to drive the change. 2019 could as well be the year of action and strategic change. The pace of the change and HR’s responsiveness to stop thinking of itself as an ‘enabling function’ and picking up the responsibility to act is the need of the hour. HR, in the world of the future, is the most important function to make business possible but the role of HR can only prove its worth if it chooses to act at a pace that is faster than that of the business and becomes the torch bearer of some of the big shifts to happen in terms of embracing technology, prioritizing diversity and inclusivity in the talent and talent models, or championing the employee experience agenda. HR needs to be the direction setting and change management function for making things happen for business. But this can’t happen by sitting on the fence. HR will have to practice some of the capabilities of the future that are critical for it to take center stage. HR’s ability to execute the capabilities desired in the future viz. Disruptive Envisioning, Multidimensional Sense-making, Multidimensional Diversity, Personal Credibility, Talent Magnetism and Institution Building Mindset will be key in it continuing to be relevant. The biggest fundamental step of driving strategic change is to get into the shoes of the customer. Customer for HR, in this case, is the business. If business believes HR needs to pace itself, HR needs to accept and understand fully what it means for the business and plan to be able to be responsive enough. To me, this is the shift that needs courage. HR will need to demand the clarity, the space and the opportunity to be able to provide the support and direction it needs to give. Only then can the equation get balanced. However, the big question still remains: Will HR set the context for business or will it continue to take the context from the business? Chaitali is the Partner - Management Consulting and Leader: People & Organization at PwC India.